This blog was initiated by Kelly Hart and Dr. Owen Geiger as an adjunct to their websites, www.earthbagbuilding.com and www.earthbagstructures.com, in an effort to bring the concept of earthbag building to the broadest possible audience. It is offered with an attitude of good will toward all of those who might employ the ideas and further this very sustainable approach to building. Over time, we’ve expanded this website to cover many forms of natural building and sustainable lifestyles. Dr. Owen Geiger, Ph.D. (in Social and Economic Development), is the former Director of Builders Without Borders and Founder and Director of the Geiger Research Institute of Sustainable Building (www.grisb.org). He specialized in strawbale construction, earthbag and other types of sustainable building. 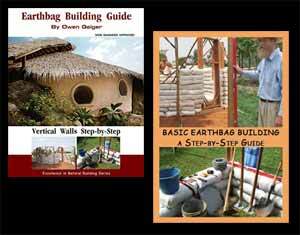 His Earthbag Building Guide and accompanying Basic Earthbag Building video are now available. He co-authored the Builders Without Borders Straw-Bale Construction Guides and contributed to Building Without Borders: Sustainable Construction for the Global Village. Dr. Geiger has consulted on numerous international housing projects and worked closely with Habitat for Humanity for seven years. He has also been a correspondent for The Last Straw Journal and Mother Earth News. Just to say that there is a very good news for earthbag building in Marocco like you can see here http://ecodomemaroc.com/#homePage and here https://www.facebook.com/ecodome.maroc. Thank you very much! I’ll probably publish this news tomorrow. Been following you for many years. Thanks for all the infomation you have provided fornall of us. I’m preparing to build my second structure in Africa (first in Benin, now in Senegal). How and where can I get the bags that were used in Coron, Philippines? Those were special made and I don’t have the details. Their building system creates perfectly flat, square buildings, but it’s far from the most efficient earthbag method. With careful workmanship you can achieve the same results using standard earthbag building. One of the earthbag schools in Nepal by Good Earth Nepal is just as perfect. The finished building was indistinguishable from masonry buildings. I will be thankful if you response me as soon as possible. My name is Colton Draeger. So far with the help of many I have constructed 3 different earthbag structures. 1 in Wisconsin a 12×12 on the outside as a storage shed. The second in Cite Soleil Haiti, a 14x 30 duplex with a front porch, and dividing wall. Finally we are just finishing an earthbag church up in Hinche, Haiti. The structure is 52’x28′ with 8 supporting butresses around the building, it looks like a fortress. Anyway I am looking for some advice, as we are beginning to get more people behind the project and securing more funding. Will you please email me at colton@donshire.com please? The key step that’s missing is flattening the walls. See my free videos on YouTube: https://www.youtube.com/user/naturalhouses It’s not the bags. You have to flatten them on the inner and outer wall surfaces a little before they dry. 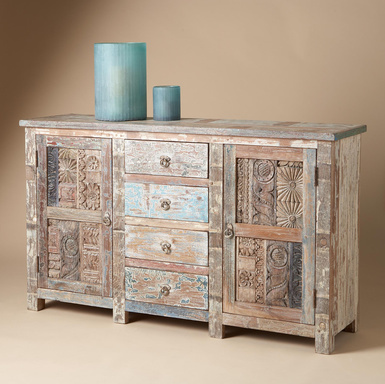 Have you ever written anything about furniture made with recycled plastic bottles? Most people don’t know this, but there is actually a huge demand by manufacturers for more recycled plastic scrap. If more people recycled, more products could be made to re-use all those plastic bottles. Also, products made with recycled plastic complete the recycling loop that is actually made of three parts – Collection – Manufacturing – Purchase of Recycled Products. (That’s what those arrows represent on the recycling symbol). Anyway, love those homes. Very cool. Can they be built in Florida? Structure1.com can get earthbag houses code approved in every state. Florida has some of the strictest codes in the world so the cost will be very high. The codes wipe out any savings. We are a dutch couple traveling through central america and want to help building in some nice projects. Do you know some places? We go from guatemala to costa rica and are free to stop everywhere. Love to hear something from you. This is in the wrong place. Please post this on our Bulletin Board. See link at top of page. Hi, I will start my second earthbag project in Turkey and this one will incorporate extensive earthbag retaining walls. Since the bags will be plastered on the exposed side would it be necessary to use an epdm liner directly behind them to keep moisture out? As well, I was thinking of using a gravel backfill and landscaping fabric to separate it from the earth. Obviously I don’t want the plaster to fail and I want to keep the pressure off the wall. Walls will be curved… Any technical advice would be most appreciated. Thanks so much. EPDM is very expensive. Most natural builders use 6 mil black plastic sheeting. Use 2-3 layers for added protection. I like to install it one layer against the wall, one sloping out at about 12″ high and one sloping out at around 2′ high. Raise the building site or build on high ground. Use gravel bags on lower courses and French drains. Hello, I have a question which I know can be answered here. I’m interested in building my own earth bag home. Question, is where can I purchase quality polypropylene bags, ( web site) and what size , dimensions would be appropriate. Go to our main site at Earthbag Building.com and click on the Resources page. Scroll down to the bag suppliers. Or search on the internet for suppliers near you. Get 18″ wide bags or tubes. WE ARE DESIGNING A FEW EARTH BAG RESIDENTIAL HOUSES. IT IS A MILD COLD CLIMATE 500 Meters ABOVE SEA LEVEL. WE NEED a well insulated wall system. we are looking for a system of bags with a seam\stitch in it to be filled with an insulating agragate on the outside: perlite or vermiculite or such. Thank you very much. I’m watching the video now and very much enjoying it. These are the types of homes that natural builders were making back in the 60s-70’s when I was a young man. Okay, finished. Very good. Any update on how the houses have held up over the years? Well, the building started about three months ago, everything went surprisingly fast so far. The house is 40×52 feet. In terms of cost we spent about 30000 dollars and expect to spend about 10000 more to move in. The cover of the wooden roof will be made of a layer of cob, sand, tarp, cob again and a plaster of sand, lime and cactus juice (nopal). We’ll be starting on friday just before mexican monsoon starts. Some aspects of the house are somehow original like the PVC pipes on the wall for ventilation and windshields as windows, also the rounded walls that look like if they were straight from the inside. I just wanted to let you know that I bought your book in december and our house is almost finished now. We’d like to thank you, earthbags really work! This is our blog casahuexolotl.tumblr.com, we would love to know what you think about the house. Heh, it looks great. I’ll probably put it on our blog tomorrow. How much has it cost so far? What are the dimensions? How many days work? What type of roofing are you going to use? I’m excited to announce a new straw bale retrofit workshop going on in Albuquerque New Mexico from April 25th to the 26th. The workshop will include presentation about straw bale retrofits on Friday evening, and then we will spend the day on Saturday stacking bales and having fun! At this workshop, we will not only show you the how-to’s of a straw bale retrofit but we’ll also point out and demonstrate the many ways you can optimize such a building method. Hopefully some of you can join us! Please repost your comment there and I’ll delete this one. Thanks for having such an inspirational blog. I’m interested in building a home that’s a hybrid between an earthbag home and an earthship. My issue is that I live in the Caribbean and the soil here is either just sand or powdery limestone. Other than importing (or magically finding local) clay is there anything I can do to increase the adhesive power of the mix? Or would the limestone be enough? Make some test bags to see what works best. Some people have had success with crushed limestone. Once it’s tamped and dry it can become very hard. You might have to add some stabilizer. Some have had good success with crushed coral (dredgings from marinas/ports). Sandy soil works well with soil stabilizers such as Terrazyme and Polypavement. They’re supposed to be safe. Search our blog and the Internet. There are various brands. http://www.naturalbuildingblog.com/terrazyme-soil-stabilizer/ Also, you can add extra rebar that reinforces the walls so less stabilizer is needed. A curved design is inherently stronger than straight walls and will require less reinforcement and stabilizers. Hi Owen, I was wanting to know if your house plans are accepted in Taos County, since I am looking into an earthbag home, and also if I build below building code (220 sq. feet) is it legal to live in the structure? G.B. Codes vary from place to place. You’ll probably need an engineer’s stamp. Contact Structure1.com for a quote. hi everybody, i am doing a university project on these topics and i need some additional information which can help me in my work. would you please help me? Please search our sites first. We have thousands of pages of free information now. Be sure to check Earthbag Building.com, our main site. Then you can email us. I am sure you have been asked this hundreds of times here but a can’t find it. i just purchased a 15 acres plot where I plan to build 5 homes; one for me and one for my 4 “kids” (26, 23, 21, 15). Until yesterday I was positive I wanted to go with your earthbag system. Then a prospect contractor came in and is trying to convince me to go with hay bales instead. In general terms the units will be domes with certain addons, either smaller domes or flat roofs. i am going to guess you are partial to earthbags but, could you give me some pros and cons of both? Straw bale domes? That’s a terrible idea unless you build a roof. Even then the bales are somewhat vulnerable to moisture damage. Even eartbag domes are somewhat vulnerable, and so we’re constantly warning people about protecting domes from water. Domes evolved in deserts. I built a straw bale dome years ago and it promptly got destroyed by rain. Don’t even waste your time. your site is pretty helpful, thank you for that and for sharing the information. As a healer I want to build a retreat consisting of a house and home, a retreat cottage and a sauna in Limousin, France. I’m researching for usable information how to proceed and for severals ways of building a green house in this area and how the sole is there, also, if they are legally allowed. Is it possible to build an earthbag home in Limousin? I mean the wheather conditions. The winter is cold and it is rainy. Till now I found one earthship home in Normandie, I can also ask them. Can you maybe recommend builders and constructors? I can test and start learning by doing. I feel, I need some help and experienced helpers or volonteers. You have to check with local building officials. Chances are they will allow it if the plans are stamped by an architect or engineer. Earthbag houses can be designed for cold climates. Our websites explain all this. We are a scientist-designer couple in our 40s (still ;) and we are thinking about building a cob/natural/efficient/and so on house in the near future. We live in Texas, DFW area. Eventually, we would like to live outside of the metroplex area on some 1-2 acres with wood, green house, solar energy, place for dogs and some grand-children if available. Please let us know where to find all the knowledge we need; books? conferences? we are able to grasp every concept due to our education and professions but we don’t know where to start. Thanks for any help. Almost everything is free on the Internet now. The main step many people miss is actually experimenting with the various building methods. Do some backyard experiments. Build a little test wall or corner. Try different things. Do soil tests. Make sample earthbags. Get started doing things and follow what you like doing best. I am downsizing in the near future and have some questions. I would like to have a single story home that is easy to maintain. I have thought about a lot of options but I know I need land first to accomplish this. I thought about buying another smaller home but we all know that if it is not new construction you are just buying someone else’s problem that they did not want to fix correctly. I am single with two large dogs and on a tight budget. Will this work for me even though my situation is not the best financially? There’s no way to say what is the ‘best’ building method. It all depends on the climate, your skill level, available materials, budget, etc. The best advice I can give is to keep learning as much as you can. Build a tool shed or even a short section of wall to experiment with different methods and materials. See what you like best. But the good news is there are numerous very low cost building methods you could probably use. Our blog covers most everything in detail. Kelly’s website Green Homebuilding.com covers the information in greater detail. http://greenhomebuilding.com/ Email me if you get overwhelmed. I can narrow the list of possibilities and briefly point you in the right direction. I am looking to build an earthbag home and was wondering if these bags would suffice. Thank you for your time and attention. If they are the correct bags, I will make sure to purchase them through your amazon search engine. Many thanks. I have the plans. Will keep you in touch with the progress. I want to start eartbag building experience with an extended 3 room verion of your $300 house. The hose will make an ideal staff house for my eco-lodge in Kenya. Are the plans available to download or do I have to buy them? Everything is available for free from the Jovoto website. Just google Jovoto $300 earthbag house. Let me know if you have any questions. My name is dr bob, I was the first shi-tzu ever to study cold fusion at MIT. I was also the first shi-tzu to try google glasses and work for a space company. Could the admins of this webpage please provide me with their email adresses? Information and technology can solve all our problems. Our email addresses are listed under the about us menu. Did Kelly explain to a dog how he should sniff and paw his way to Kelly’s and Owen’s email addresses last week? Nothing wrong with helping a dog, I guess. I’m just curious if the emails were accompanied by a wagging tail and a cold nose. This is the dome of a friend in Colombia, is located at 1,600 meters above sea level on a rainy climate, in a land with many gravel. The land of superadobe is stabilized with hydraulic lime, has a double wall to 3.30 and wire. Foundation Pile has a 60 centimeters deep and filled with cement and stone above it a concrete plate 6 cm. The iladas of superadobe may have moisturized longer than necessary due to rain during the construction process despite being covered with plastic dome. It has lime plastering the outside that have not worked. feels much moisture inside and you see many cracks inside and blown, cracked the plaster outside. Apart from a “diagnosis” purely visual, but we seek what is helping the owner to learn how waterproof the outside and inside to do. No studies were soil or the land used. It mostly looks good. The problem though is building domes in rainy climates is not recommended since there’s no roof to protect the structure. The plaster may have cracked because the earthbags may still have moisture inside. As the moisture escapes from the bags, it can crack the plaster. I would strongly consider adding a large roof over the top. This can look good if done correctly == maybe build two circular roofs that echo the dome shape. This is an ideal situation to install a “rainscreen” over the entire structure. Attach saplings or pallet wood firring strips to create an air gap between the exterior wall of the structure and the new primary drainage plane of the rainscreen. Then attach more saplings or pallet wood horizontally across those firring strips to create a base to attach a waterproof layer to. The final waterproof layer can be any number of options. Shingles, clapboards, ferrocement, stucco wire and stucco, etc, etc. The possibilites are nearly endless. Yes, someone could even install thatch if they were so inclined to do so. While a Shingled Rainscreen will change the appearance of dome dramatically, they offer one of the most inherently redundant and effective water protective outer drainage layers possible. That is what I would recommend in this particular situation. The shingles might be wood, but they could just as easily be burlap-crete (see John Annesly), ferrocement shingles, or many other different types of shingles. The nearly flat very top part of the dome should be covered with something that is normally used on a flat type of roof, but still be integrated as part of the rainscreen. Keep in mind that some type of venting of the rainscreen airgap will need to be included in this area. Consider a decorative Cupola vent. A membrane for the nearly flat top of the dome upper part of the rainscreen makes sense. This is regarding thai interlocking blocks. What’s your question? Also note, it’s best to leave a comment on a related blog post. In regard to CSEB it says mix water but does have a quantity we can add i have tried many times i get complete block with sheared edges advice. What’s the link? What article or blog post are you referring to? Concerning your comment about building structures over 2 stories: Most building inspection and permitting departments follow the adobe construction techniques developed in New Mexico and do not allow earth type buildings over 2 stories high. Not at present, at least. I have a unique wall system to share that can make a building about as difficult to destroy as you can get, have had it engineered and plan to build in NW Fl this year. BTW, I bought my automatic block machine from Star Top. My wife is Thai and on good terms with them. She is asking them about the horizontal press referred to in one of your blogs. p.s. I think the problem with uneven heights in blocks has to do with soil composition and inconsistant pressure applied while using a manual press. Or did you have this problem with an automatic press? Star Top does sell horizontal presses apparently, based on what a previous poster said. Uneven block height occurs with every type of vertical press from what I hear. Working carefully can minimize the differences and not cause major problems. Still, I’d probably avoid the problem altogether and go with a horizontal press. My multi-story designs are for areas with few or no codes. I look forward to hearing about your building method. I am planning a ‘natural playground’ for a church property in Little Rock, Arkansas and would love to incorporate a ‘hobbit-like’ playhouse in the design. Do you know of any earthbag experts in the Southern United States who might be willing to lead a workshop, teaching a group how to build something similiar (but under a berm) to what you build? Thanks for any help or leads! Also note, trainers are going to be fairly expensive. Everything you need is available on our sites — YouTube, Instructables, etc. We try to make it simple enough for everyone to understand. I really want to buy this one. I live in the Netherlands, do you know where I can find a cupboard like that or order it online? The maximum price I can afford for it is around 300 euro’s (which is around 350 US dollars). Second hand is ok too! No I don’t. You’ll have to look around or make it. I was subscribed to the blog and was getting updates every day. After September 28 the email updates stopped. I tried resubscribing but get no confirmation email from wordpress and the blog is not appearing under the list of blogs I follow when I login. Any ideas why this is happening and how to fix it? You’ll have to write Rosana (Zana) our webmaster. Her address is listed on this page. I had the same challenge. Just “subscribe” again and you will be back in the system. We know your contact by chance that you have been dealing with Polypropylene woven bags for years. We are one of the leading manufacturers of this type of bags in Vietnam. Pls visit our website to see our capacity. Office: 4th Floor 40A Hang Bai – Hoan Kiem Dist – Hanoi – Vietnam. Factory: Ngoc Hoa Industrial Zone – Chuong My Dist – Ha Noi – Vietnam. updated on the website, if you would like we will send you for reference. My name is Dave Charley and I’m currently traveling around Asia and I’m extremely keen to find a bio-construction/sandbag building project that I may be able to volunteer my time to. I live in Mozambique and see a desperate need for such construction to be implemented there, and would relish the opportunity to learn and experience building such homes, and to be able to take this back to Africa and start something there. I would be so grateful for any assistance you might be able to give me. I posted this on our Bulletin Board where people can find it. The comment here will be deleted soon. Please leave a comment on the page you are referring to. Otherwise I have no idea what project or photo you are talking about. so once I get a permit then what? You want to research and plan everything long before getting a permit. Everything you need is on our sites. Feel free to ask more questions in case what I’m saying isn’t clear. Are you still offering intern positions in Thialand? I noticed that work shops will no longer be offered, does that mean everything else as well? Thank you for sharing your passion for sustainable living. We’ve filled up our land so there’s no place left to build. I guess I could do a little 2-3 workshop if three or more people came. Training would include making demo walls, whiteboard sessions, question and answer. say I wanted to own one of these to live in as my home. In Toronto GTA area.. Is that at all possible? What are the steps to take if it is? Contact Sukup the manufacturer. If it’s like a typical manufactured building, it will be very easy. They do almost everything in terms of supplying the specifications and engineering. You then show that to your building officials. They’ll basically rubber stamp it and take your money for a permit. We have chatted before via email. I am looking for plans for a moderate size earthbag home. Ideally if I could have what I want it would be Michael Reynolds new style earthship built with bags instead of tires. The cost of a traditional earthship is out of range for most including myself. But all of the challenges with systems have been worked out in his plans which is what I need. Water catchments and reuse, greywater, inside grown beds, solar and wind etc. We will build in town so will need to have engineered plans. We could even build something like what is pictured above but I need to be able to do much of the work myself with the help of non-skilled labor. Do you have anything that would work? Thanks. PS-we have a lot directly behind our current home that we want to begin building some earthbag fence/walls, storage shed etc and would host groups for workshops if you know of instructors looking for places. I am in Nebraska and have a good working relationship with building code inspectors, their hands are tied in some areas but they are open and all for sustainable practises where we can get them in. I suggest building something similar with earthbags and buying his books and systems. Precision Structural Engineering, Inc. will stamp the plans. http://www.structure1.com Email me and we can talk about it. I wonder if either of you, or maybe a reader of the blog, can direct me to eathbag building resources in Spanish. I’m interested in general information, detailed information, discussions of specific projects… anything at all. There are some Spanish blogs. And my Earthbag Building Guide is currently being translated into Spanish by volunteers. They’re about half way finished. At this rate it might be done by the end of the year. I recommend translating our blog and websites with Google, Chrome or similar system. That way you get good information and it’s free. Maybe some words don’t translate well, but you’ll get the main idea. We talked about this a little on the post called Counties with Few or No Building Codes. We also covered this issue in the post about the Farmageddon video and Rawesome Food Raid. I agree, the situation is totally ridiculous and unconstitutional. This is way over the top and people should vote all these scoundrels out. I don’t talk about these things very often because this is a natural building/earthbag blog and we don’t want to get too political, but sometimes things get so bad that you have to speak up. Thanks for the link. Bedankt voor de mooie sites . We gaan hier in suriname een project opstarten voor de werkende armen om betaalbare huizen te bouwen. maar persoonlijk vind ik de aankoop te duur 30m2 18.000 euro. In tussen ga ik mijzelf meer verdiepen in uw aangeboden kennis. excuses voor het schijven in dutch maar mijn schrijf english is te slecht. Thanks for the nice site. We will start a project here in Suriname for the working poor to build affordable housing. The government has already tried something, but personally I find the time to purchase 30m2 € 18,000. We have good relations with the government here will go and see if we have land available, should be no problem (land in abundance) In between, I offered myself more deeply in your knowledge. Sorry for writing in dutch but my english writing is bad. Hi Jessica. Yep, same address for over 10 years. Your blog isn’t just interesting – it’s shaping our lives here in Arkansas by inspiring us to build our earthbag home on a sustainable homestead. Because of your work, I’ve nominated you for The Versatile Blogger Award! You deserve it. http://versatilebloggeraward.wordpress.com/ Check out my post for more details about the award. We’ll keep in touch about the house model of yours we’ve chosen and look forward to getting started! Have some question — need some help… earthbag contemplations… contractors in TX? How long does it take to do a make-shift home? to get out of renting while I build? & a few others… THANK YOU!!! Follow the links for complete details. A shelter like this can be built in one day and last for years. This is one of my favorite topics. I used to have workshop participants build these to help learn the basics. They’re a real eye opener. People start to realize they don’t need to pay rent or mortgages to have a decent little house. And it would be very easy to expand and modify if you wanted. You got me stoked up again about these shelters and so I think I’ll do a blog post on temporary shelters. Try to avoid costly contractors. Get some books from the library or read free articles online. Start small and simple. Owen- got this site from post on facebook. have been looking at and using alt methods of construction for about 15 years. right now, mostly conventional, but also icf for an art studio in urban location. not at all comfortable with earthbag in seismic areas, expecially in mexico at 7.5 area! hmmmm, but will read up on your site. have been a fan of e-crete, but is has become hard to find. think it the best i’ve ever seen or used, hi-tech material, low tech installation. have in past done straw, rammed earth, adobe, earthship, rastra, e-crete, now icf. Can I please get the name of the engineers in California who can a approve the building plans in California? Some of my bags are not uv resistant, what can I use to protect them. See our progress on http://www.aardskip.com and click on blog. Some people use tarps draped over the walls, but they get in the way and tend to blow around. Some use recycled latex paint. Some apply a thin base coat of whatever plaster they’re going to use. Some work under a big tent or a big overhead tarp. It would be greatly appreciated if you could shed some light into solar oven building. I’m working on a blog post right now. I’ll take a look and maybe do a post about solar ovens. Thanks. It’s starting to get popular. Traffic has doubled the last year and last month was a new record. My boyfriend and I are buying 5 acres in Vermont and are considering building a 30 foot round story and a half house on an earthbag foundation. Does this sound reasonable to you all? The structure would be mainly metal insulated with hay and foam so it wouldn’t weigh as much as a conventional construction and our roof would be a yurt roof with a compression cable. Would love any input you might have. Thanks…. That’s very do-able, although I didn’t know yurts came that big. Use straw bales, not hay. Buy the best bales you can — tightly compacted, no moisture damage. You can form the bales into a gentle curve simply by raising one end on a small log and stepping on it with your foot. I’d use ‘external pinning’ — bamboo poles or saplings tied together through the wall to stabilize the bales. There’s lots of free information on our earthbag websites about earthbag foundations. I am looking at the possibility of using an earthen floor for an earthbag building project. It would be great to avoid using a concrete floor. The problem is that it’s a medical clinic and the interior needs to be very sterile and washable (as in spray it down and mop it). I have seen it is common to seal the floor with linseed oil. Is this the best way to make the floor completely water proof? Would a wax coat or other type of finish be necessary? Also I have some pictures of an earthbag workshop we recently did in Thailand if you are interested. Earthen floors won’t hold up for what you’re describing. The closest thing might be soil cement with tile on top. Use sandy soil with minimal clay. Let it dry and then lay tile as usual. Post your message on our Bulletin Board page. The link is at the top of the page. Thanks, Matt. It’s been a long time since we’ve covered EcoBeam. I’ll publish this soon. Won’t there be a lot of air space left between the rocks in the bag, especially if using 100% rock? Do the rocks damage the bags, particularly when tamping them down? How does the rock compare to earth in volume requirements and cost? Amanda, Scoria-filled earthbag building is a great way to go. It’s way less labor and superinsulating. Use 1/2″ or so screened scoria to minimize air gaps. Buy dump truck loads direct from the mine to minimize cost. The scoria won’t damage the bags because very little tamping is required. Tie each course to the previous course with baling twine. Add buttressing (earthbag, wood posts, etc.) as needed. Use temporary braces as needed. Tie opposing rebar or bamboo or saplings on the exterior as needed with baling twine. You’ll have to do volume calculations: width x height x length or use special volume equations (cone, cylinder, etc.). Use google to find the equations. That sifter is for separating decaying trees into usable soil/compost. I love that a 12 year old came up with this idea! Hello, we are building a house with sandbags in Belgium, in Kemzke on the Verbeke Foundation with earthship.be in this periode.You can follow the buiding proces and all order info on earthship.be and we are willing to share our experience and will answer alle questions on this project,with best greetings, Paul. Does anyone build these in Hawaii presently? I am considering moving there , and would like a small one, perhaps, 25 foot wide. I have some cash, but not a whole lot, just wondering how much theoretically. They use scoria to create insulated domes. Great idea. It’s always less expensive if you do the work yourself. I’d like to continue the dialogue we’ve started on the $300 house contest. Lots of opportunity to build on each other’s strengths. Thanks for writing, Kevin. My email is strawhouses [at] yahoo.com. I look forward to discussing your ideas more. The one thing that really perplex me, and there is little info mentioned anywhere – Fastening stuff to the walls. I mean, how hard are these walls after curing ? Can I drill into them ? What weight can they carry ? Do I have to put wooden areas below the plaster and mark them ? No worry about compressive strength. It’s been tested at 10 times capacity of wood framed walls. See our EarthbagBuilding.com Testing page. It’s easy to anchor things to walls. This is covered in my upcoming earthbag book, but here are a few tips for free. Most people embed wood anchors between bags while building their walls. This is the best way for hanging heavy items such as cabinets. Hello Owen, I really love your site. I have been sharing this with my contacts in Uganda and Kenya. One thing that would be really nice is some latest WordPress,com features on your blog, so that it can be easily shared on Facebook, Twitter, etc. Also, they now have custom menus. I know when one is busy with projects, we don’t get time to keep up with these things. But they can be a great benefit to your site. If you are interested, I can give you some tips on how to do that. Thanks, but we can’t keep up with things as they are. No one is willing to do extra work. My husband and I are looking at building a post and beam type home with boards inside and out for the walls. We have a lot of inexpensive rough cut lumber available where we live and we are dealing with neighbors who would be weirded out if we use earthen plasters, although we are still considering that as an option. I am opposed to fiberglass/foam insulation. I plan to insulate the roof with wool, but I fear I won’t be able to get enough of that locally to insulate the walls as well, so I’m looking for other natural alternatives. We’ve considered strawbale, but it doesn’t look like that will work in our situation. Would it be possible to use scoria as an insulator by just filling in the wall cavity with it, provided we had extra thick walls? I think I’ve read that the scoria needs to be sealed with plaster, so I’m not sure how to deal with that. Any ideas? Also, how many tons of scoria would one need to build a 1500 sq ft earthbag home, if only using scoria, no earth? Yes, you could fill the wall cavity with scoria. The volume needed depends on your climate. Simply look up the R-value of scoria and multiply it times the recommended wall R-value in your area. Then you calculate the volume required in cubic feet. Then I use Google to find a calculator to convert to tons. We located a local source for bags (300 miles south) and will put op the multi-purpose dome this summer (http://www.earthbagbuilding.com/projects/mendome.htm). Do you know others who have built in zone 1b? Recommended foundation depth of gravel bags – 3′ – 4′? The best way to build a FPSF foundation with earthbags is to use an insulating fill material such as lava rock (scoria) in the bags. Scoria is typically used as decorative landscape rock and is available across the US. So you may only have to dig down 2′ or so with this method. And because scoria is lightweight, you’ll save a lot of labor. It’s almost like handling bags of popcorn. …and also my efforts trying to get haskap into the diet of the most needy here in Canada: http://sharingthelittlepurpleberry.blogspot.com/. I’d really like to email you about earthbags in north…even though my plate is pretty full. A million thanks for this!!! Thanks Craig. I’ll take a look later. And yes, I’d love to hear about cold climate earthbag details. my wife and me are planning to make a earthbag house in Kenya with 9 rooms in summary. 1. Are there any experienced people who could support us in Kenya? 2. Has anyone ever heard of an earthbag house in Kenya already? Search our blog and websites to see if there are any projects in Kenya. I am in kenya and am interested in building with earthbags and possibly straw, bamboo, papercrete, cordwood, etc. I am still looking for land to do my project. Have you found anyone doing it yet. What roof framing and roofing are you considering? thanks for your reply. We are still looking for someone who can support us. Maybe we can support each other? You sound like you have alreacy experience in making houses? ;) How can I contact you? Do you have an email address or something? Can we have a session via skype and discuss this together? count one more enthusiast of earthbag building in Kenya. I am planning to build a house for myself in superadobe, and I was considering a bamboo roof on top as I want a double roof anyway. Let us keep each other posted: reach me on paulius*at* kulikauskas*dot*net. After having read through as much of the various blogs and websites as I can manage (you guys are amazingly prolific) we are going to give it a shot. We’re hosting a bag barn building blitz next month (feb 2011) to construct a shelter for our llamas at our farm near Canon City, CO. I am hoping to construct something like the photo on your blog header, we really like the look of that, and it should work well for the llamas. I was wondering if that was a project of yours, or someone else. I am curious about the actual dimensions. Thanks again for all the knowledge and support you provide for free to us aspiring earthbaggers. I am a student at the Illinois Institute of Technology working on a project to build a banda (storage hut) in Uganda for coffee farmers to store their beans. The construction material we chose for our banda design is using earthbags. We are now in the process of researching materials for constructing the banda in Uganda, but we’re wondering if you could help us out. Your website is a huge resource for us, and I’d like to start a more private conversation throughout the semester with you. Please email me at oolretaw@gmail.com and I can give you (a lot) more specific questions. I just emailed you. Sounds like an interesting project. I live in a part of Texas with a lot of people who live at poverty level. This sort of building around here would provide much comfort for those who live in uncomfortable old trailers and cannot afford expensive conventional housing. The only concern I have is about the soil here. It is sandy loam. Would an earthbag house be stable even during times of drought as we are having now? Also, are these houses fire resistant as many of the local residences live in wooded areas and are becoming more and more concerned about fires in the area? Susan, earthbag building is perfect for super low cost housing. That’s the main reason I got involved in this. Make one or two test bags and see how they turn out. You want enough clay to bind the soil together. It should turn almost rock hard in about two weeks in hot weather. If the bags easily break apart, add more clay. It doesn’t have to be pure clay. You should be able to find some clayey ‘fill dirt’ from excavation companies for really cheap. Yes, earthbag is very fire resistant. It would help though to take extra steps if fire is a major concern: clear brush from around buildings and plant fire resistant plants; use metal roofing and metal frames for doors and windows. You could make metal shutters to seal windows in case of fire. Hello, I am considering building earthbag in southeast texas, high humidity, and hurricane prone. I am considering the use of rice hulls as filler, or may use them as a cob style filler with sand and clay. the rice hulls insulating factor and availibility(plentiful), are the main reasons I desire to use this material. I have concerns in using them because they are very lite weight. I plan to use tires filled with gravel for below grade base. any suggestions would be great. hope to start construction in mar/apr 2011. I think I would mix clay or lime with the rice hulls as a stabilizer. Lime is best at deterring pests. Add borax if you use clay. Also, I suggest vertical rebar reinforcement, post and beam or buttresses for added strength. Make several test bags and then build a small storage shed using what works best. Please report your findings. Tommy, I live in Louisiana and am considering the same type of construction. I agree with Owen in regards to building a shed first and also the buttressing / added strength. Shoot me an email at mark (dot) bigav8r (at) gmail.com and I would be happy to exchange information. Hey guys, We are building an earthbag home in Garfield, Arkansas and up about 6 ft. now. It has been very labor intensive but a very unique experience so far. I see that most of the domes on the internet seem small. Our main dome is 25 feet in diameter with an adjoining 18 feet dome. Where are the largest domes and how much did they corbel on the second floor. (We have been reducing each row only an inch inward but I imagine we will have to corbel more than than on the second floor. Any suggestions? We’ve been following your project for the last year or so, always eagerly looking for the next video. We’ve added at least one to our EarthbagBuilding.com Videos page. But it’s been a long time now! We want more! Please tell us more about the crushed limestone. Did it expand and loosen up when it froze? Is it okay now? The size of the corbel will vary according to the shape of the dome. There’s three main dome shapes earthbaggers are using. Email me and we can discuss the specifics. This is a fantastic blog. Thanks for all your effort. I have a question about the longevity of the earthbag houses. Most of the blog posts are about the construction aspect (which is very informative), yet I am curious as to how they have done after 5-10 years with someone living in them. You have done a great job of getting input from people who build these structures, do you also have input from those who have lived in them for a while? Thanks. Most people get on with the rest of their life after finishing their home and so we don’t get much input from homeowners over the long term. Maybe “no news is good news”? People aren’t having problems and so they don’t say anything? Most of what we know is from people like Kelly Hart (my associate on this site and EarthbagBuilding.com) who built his own house about 10 years ago and has been writing about earthbag building ever since. Earthbag homes are very durable if built correctly. We have a research report that claims polypropylene bags may last 500 years or more. This will be covered in an upcoming post. I am with New Earth Magazine. I would like to offer you a full page ad in our January issue. We are located in Prince George, British Columbia. There is so much interest in this kind of building because our resources are dwindling. I would like to publicise your work shops and your business. Please contect me at 250-962-8074 at your earliest convenience. -My website will be up shortly. We are doing some reconstruction. We don’t have a budget for these sort of things. We’re just letting things grow naturally through word of mouth, etc. I look forward to seeing your website. Thank you for the reply Owen. Post and beam is OK with me. Especially here in a high seismic area. I also agree that exposed wood is the way to go for my personal tastes and I intended to use treated wood roundies for the supports. The headache is that I am being told, by my architect, that the post and beam structure along with the roof must be complete and in place before I can begin the walls. I had to read your reply several times (I’m a visual person) before I could understand it and I think you’re right and it’s probably my only option but it would just be SO much simpler to construct the walls first and then do the roof last. I know very little about actual building except what I picked up on your site, earthbagbuilding.com, and Doni and Kaki’s book, “Earthbag Building”, but common sense tells me it would be a more secure structure if the earthbag walls were utilized to carry a portion of the roof load. In any event. I intend to push forward with the project (legally) despite so much push-back. For the sake of others trying to do this in Costa Rica I’ll begin documenting the process, resources, and willing players specific to here. Thanks again for so much more than just this reply. Without your blog, website, youtube, etc. I, personally, would not have the guts or know-how to tackle this project with confidence. That does make the process more awkward. One possible solution is screwing the roof sheathing and metal roofing using just a few screws. Once the inspectors have approved it, remove the screws and the lower sheathing, then finish the earthbags. This is just one more example of how codes inspection process is out of control ridiculous. Does anyone have examples or comments about building an earthbag structure (house) with the roof already in place? I just don’t see how this can be done but I’ve been told I must submit plans for a rancho (basically a roof and its supports) in order for my project to be approved here in Costa Rica. I wanted a self supporting roof anyway but if the roof has to be in place before the walls then how can one possibly tamp the top most bags and add a concrete bond beam without leaving a huge gap between the ceiling and the walls? Plus I would think the roof resting on the walls would add stability to the wall. Is that correct? It sounds like they want post and beam construction. This is common. Many code officials are less concerned about infill (materials between posts) than the main structure. One way around this is to use a vertically aligned narrow beam around the perimeter that’s supported by posts. The beam could be microlam, cast in place reinforced concrete, etc. This would enable you to tamp upper courses as long as the roofing isn’t installed. Ex: Don’t complete the roof sheathing directly above the walls. Then use rebar, etc. to join the beam to the earthbag walls. This isn’t the best system, because you’d have to pretamp the bags and slide them into place under the beam for the last 1-2 courses. The beam would carry 100% of the load, which will work, but you’d lose out on the excellent bearing capacity of earthbags. My preference is to put the posts on the interior so you can enjoy the exposed timber frame. This avoids the pre-tamping problem mentioned above, and puts the timber frame inside where it is better protected and enjoyed. I’m not aware of any projects in Senegal, but I’ll post your comment and maybe someone will contact you. For the benefit of other readers, here’s our Project page about John’s project. Here’s the link to his blog Sustainable Buildings as Art. You’ll have to contact him directly for the latest news on his fascinating project. Ferrocement is used around the world and will work fine in your area. Just be sure to apply sufficient cement over all the metal so it doesn’t rust. Also, you might want to use an elastomeric roof coating to increase moisture resistance. Papercrete is not suitable for humid/rainy climates and will readily mold. I recently posted on a blog about my plan to build an earthbag home in New Hampshire. I quickly got a response from a post stating that they are not suitable for cold climates and I should rethink my plan. Is this true or not?? I just love the shape and the look of these homes. I am looking at two of your designs and considering buying plans when I decide. I am planning on putting radiant heat in the floor (I heard of someone else who did this successfully) Having warm feet in NH would be a good thing. Another option that’s even easier is to use earthbags filled with scoria (lava rock) or perlite on lower courses to create an insulated foundation, and then stack bales on top. Radiant floor heat is an excellent choice. You’ll have warm floors and the air temperature will be uniform from the floor to the ceiling. This blog is very interesting, it´s one of my favorities now! I’m a brazilian architect, at this time designing two houses with my partner Sergio Pamplona, in an ecovillage in Brasilia. I´m interested in learn more about this way of building houses. Congratulations! Daniel, Glad you like our blog. Between this blog and our other sites, you’ll find almost everything you need to know about earthbag building for free. Enjoy. Owen, I just wanted to let you know that I understand how much energy and time it takes to produce and maintain these blogs / websites and how much I truly appreciate it. I am always excited to open the posts that you post and am amazed at your posting frequency. On my quest to build my own earthbag home it is and has been nice to not only have access to all this great information via the blogs / websites but to also have access to your thoughts and opinions. Thank you very much for all that you and yours are doing and please know that it does not go unnoticed. Signed, Mark Manuel from South Louisiana. Thank you very much, Mark. I really appreciate your kind words. I am in the process of finding land cheap in the USA/Mexico?Canada, I live in California and am looking along the pacific border…any Ideas how one would start this process. Part Two: I need to start building small with 3-4 bedrooms, no living room dinning room just a great room. Im thinking adobe brick or earth bag will be cheapest, but I need a design that will be easy to ad onto with extra rooms, solar/wind, grey water, and rain water cisterns, and some rocket stove, indoor oven or kiva. Hi Jozef. Very interesting challenge. I would consider a low cost (non-resort) area of Mexico and build a series of free standing structures joined with covered walkways. This provides maximum flexibility. You could build one structure at a time and even change the plans as you go. This is something you could really have fun with by combining various shapes and sizes of roundhouses, domes, hexagons, etc. Earthbag building is quite popular in Mexico, partly due to few or no building codes and low cost of living. It should be easy to find helpers at low cost. We have built a solar energy school in Ensenada Mexico Using earthbags. We built the students “Estancia” and now we’re finshing the main classroom. i need to build a barn essentially two stories, 1200 feet on each floor. i am thinking earth bagging is the way to go. is this realistic and if so, how can i learn to do it? We generally try to discourage two-story buildings with earthbags. This doesn’t mean that they can’t be built, just that the engineering involved may be complicated. One possibility is to build the first floor with earthbags and then switch to lighter weight materials for the second. There is quite a bit of information available about the process of building at http://www.earthbagbuilding.com , including books and videos. Also there are a number of workshops listed there where you could get some hands-on training. Just wanted to let you know that it seems that there is a group of people going to Haiti to make some earth bag building. how can I get these plans?